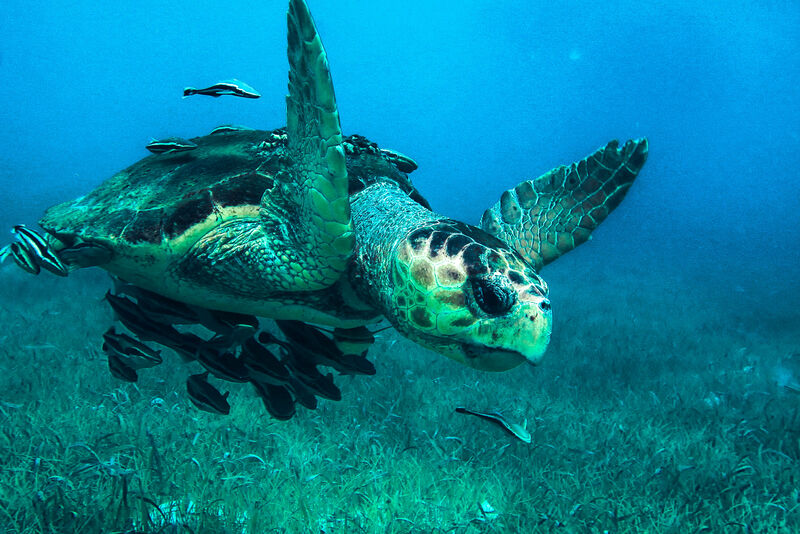 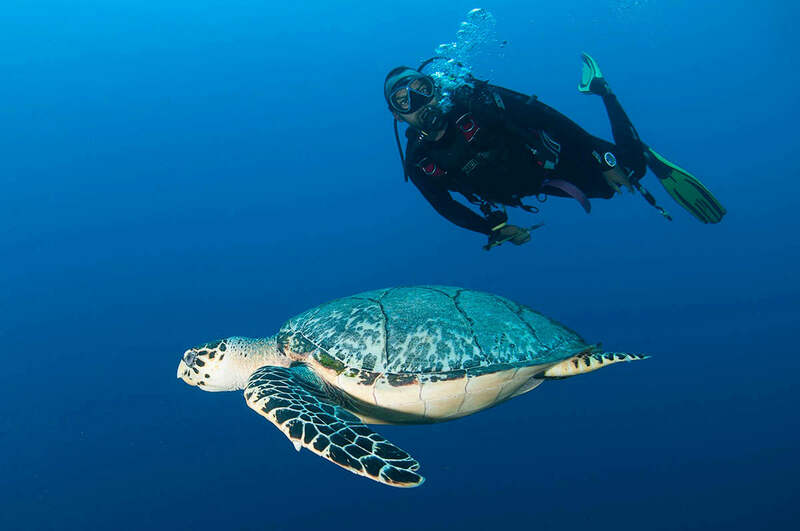 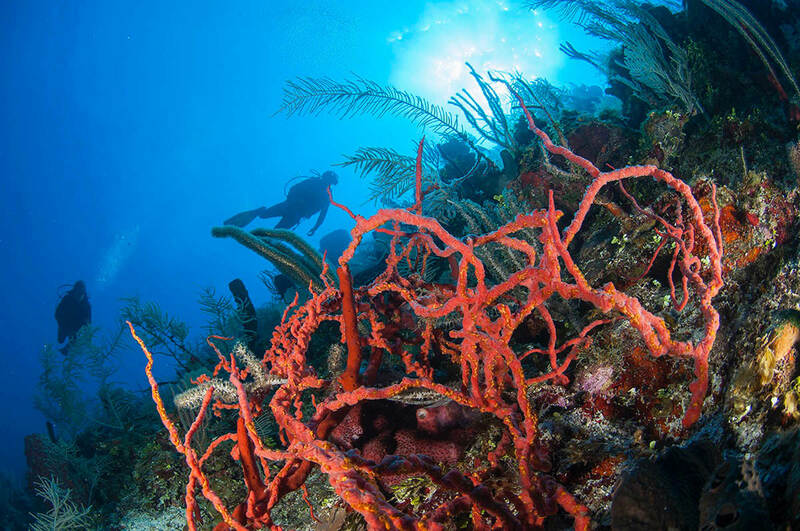 The Caribbean's largest barrier reef lies just offshore from Turtle Inn, offering divers a magnificent diversity of coral and marine life to explore. 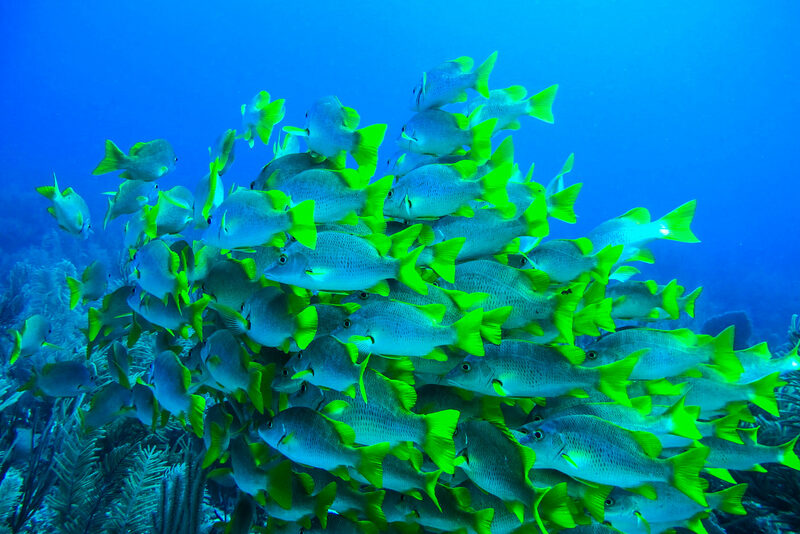 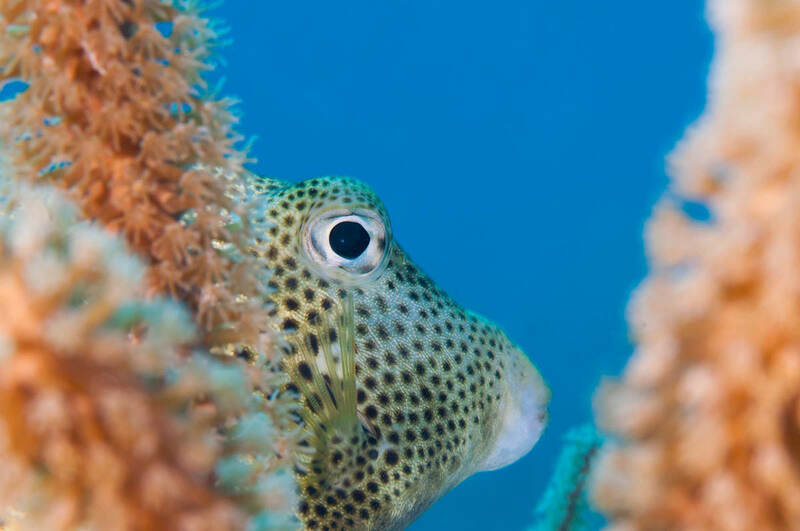 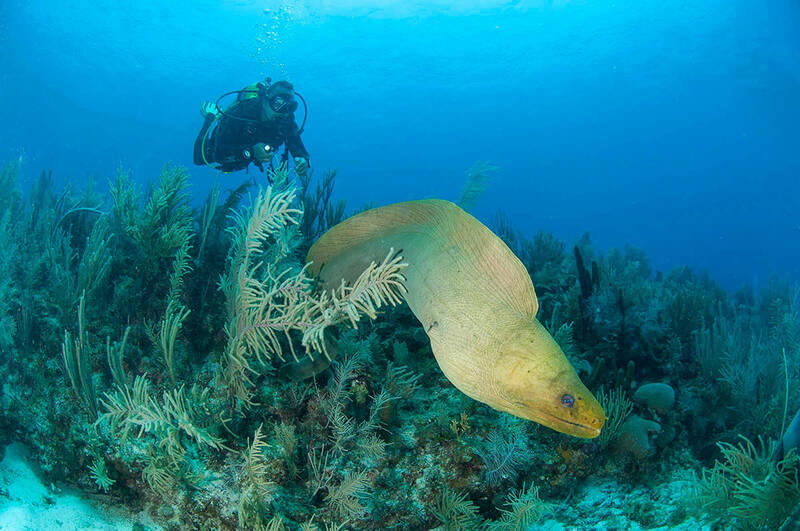 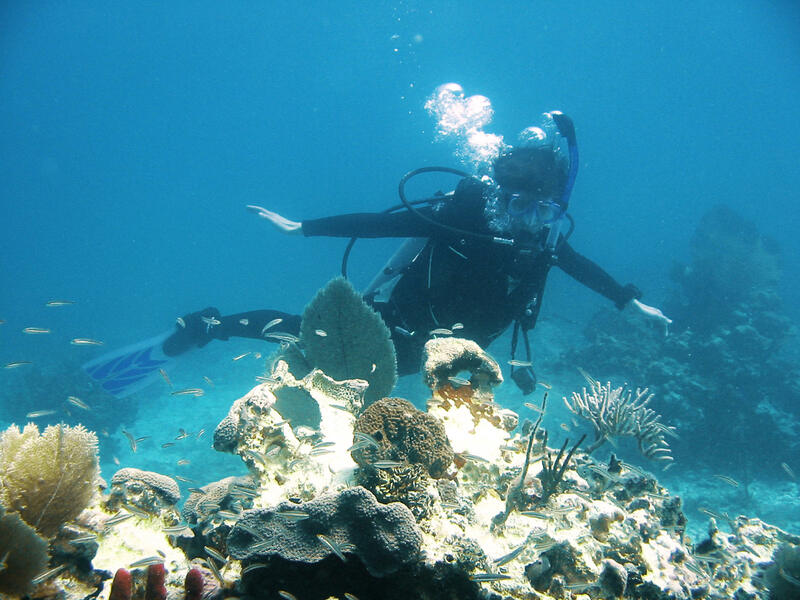 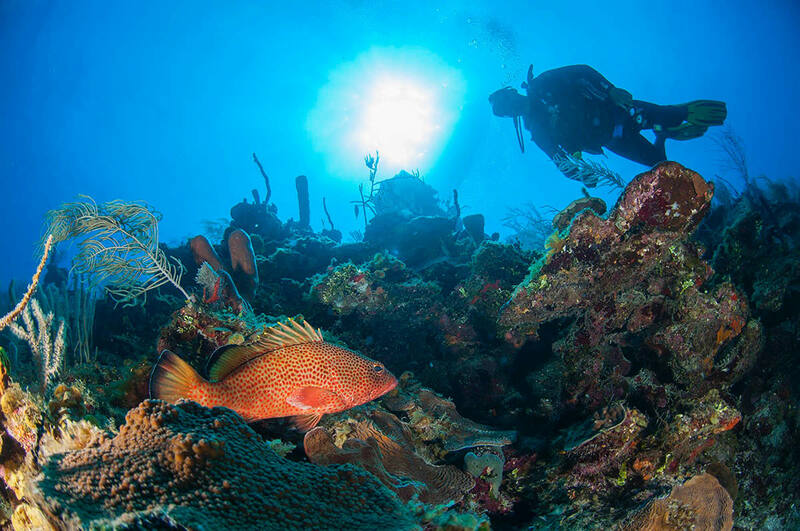 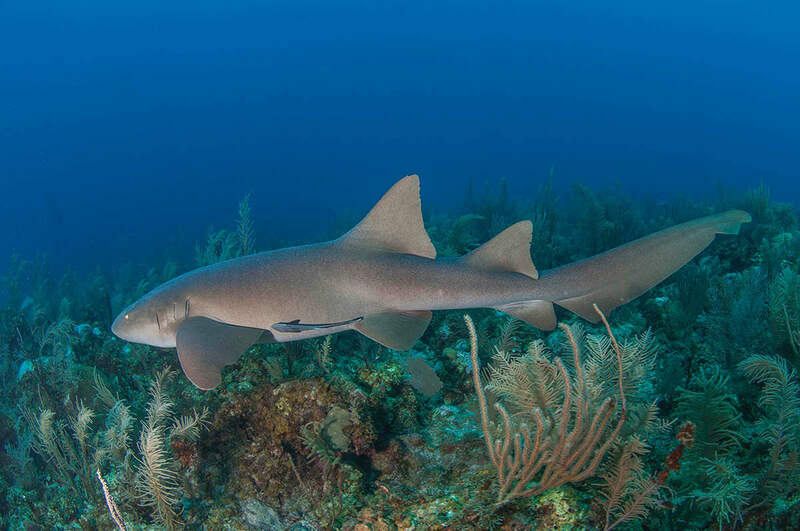 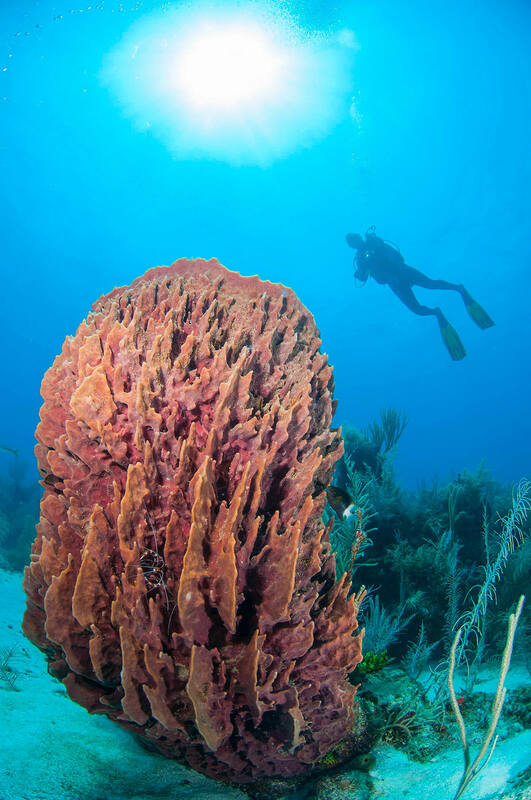 In addition, a number of easily accessible cayes (tiny islands) have their own reefs and underwater ecosystems, cementing Belize's reputation as one of the world's great scuba destinations. 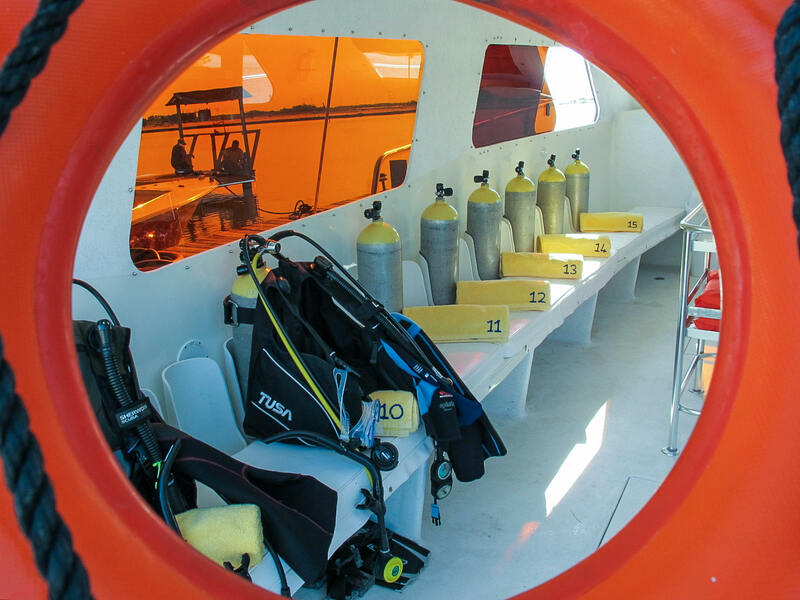 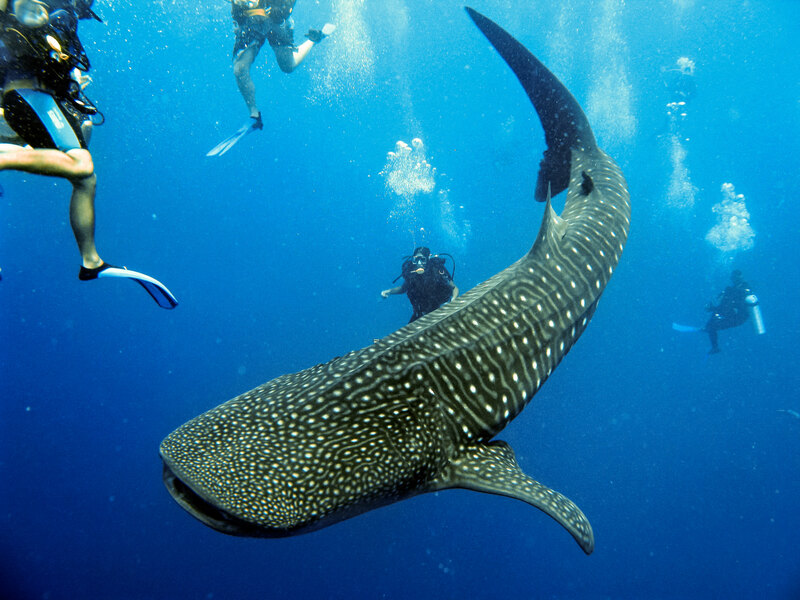 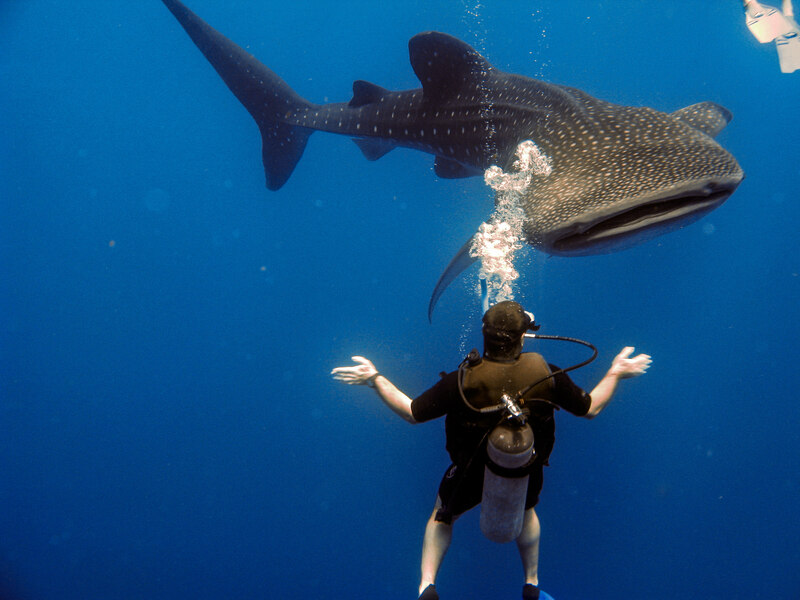 We are dedicated to providing you with the best diving experience possible, regardless of skill level. 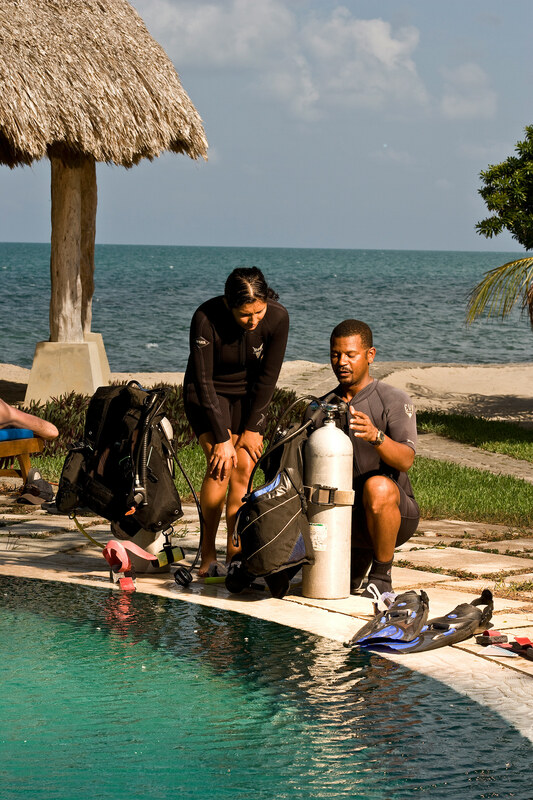 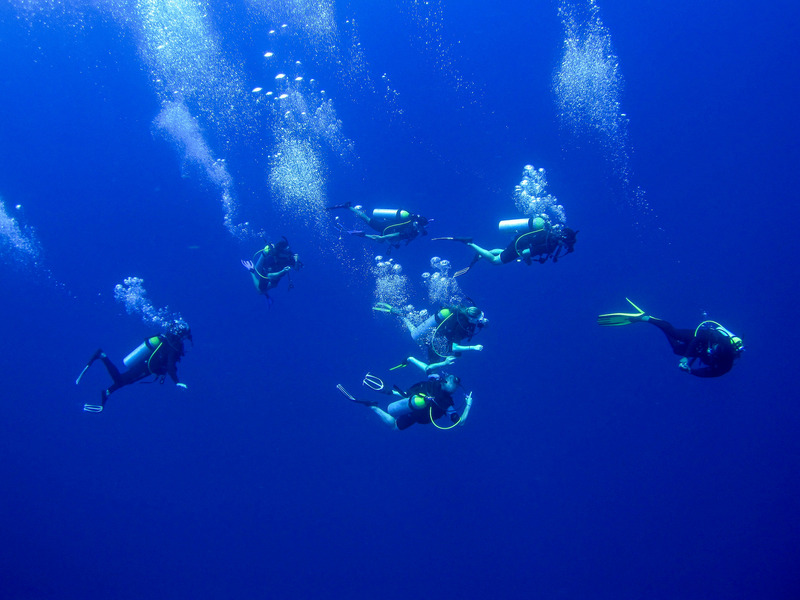 In addition to our selection of tours, we also offer a wide range of PADI (Professional Association of Diving Instructors) certification courses. 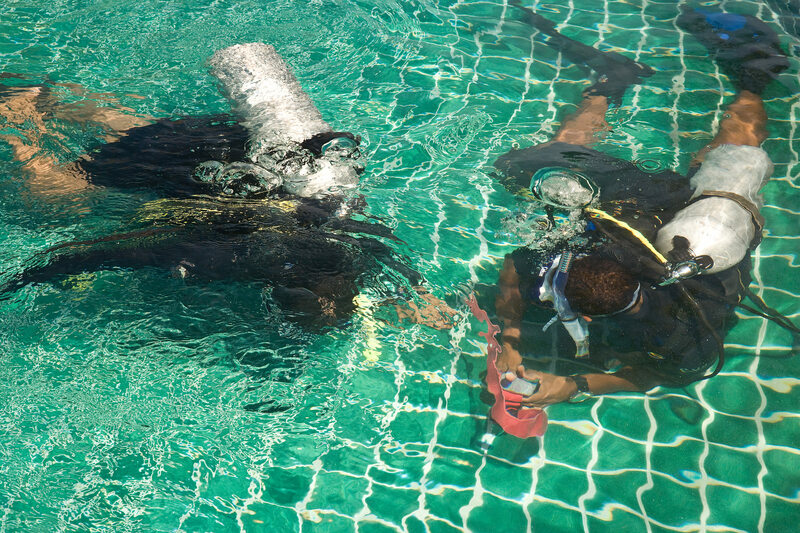 Visit our Dive Shop for a complete listing of our classes. 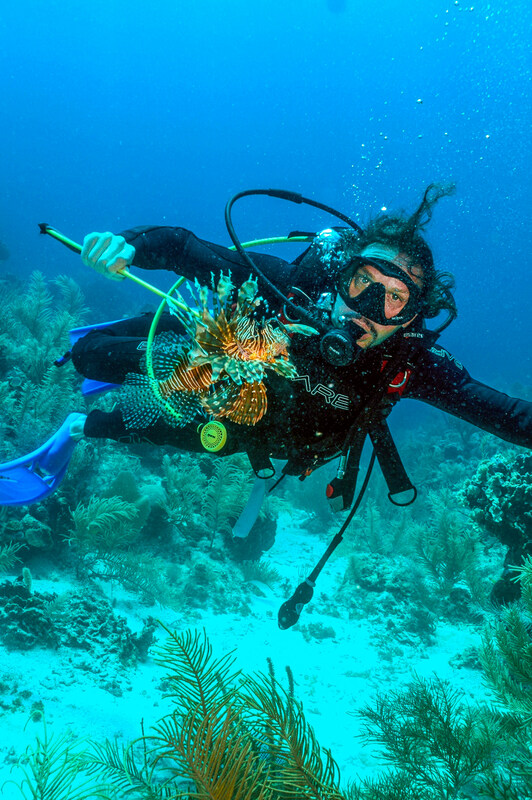 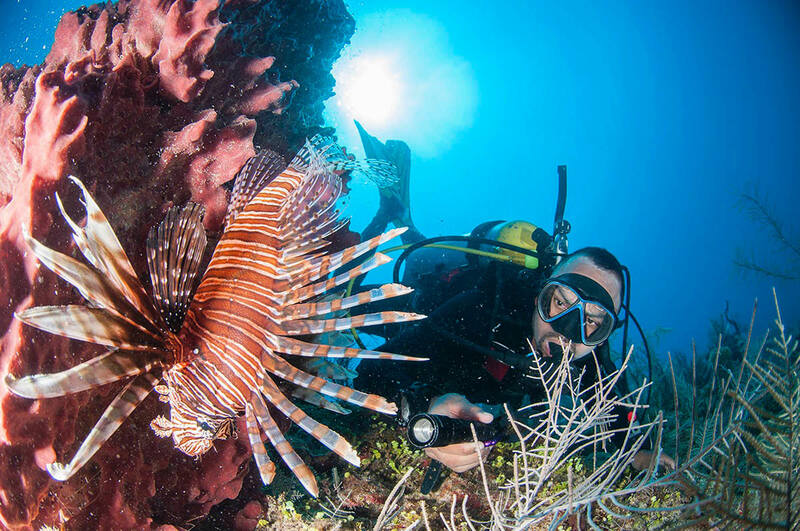 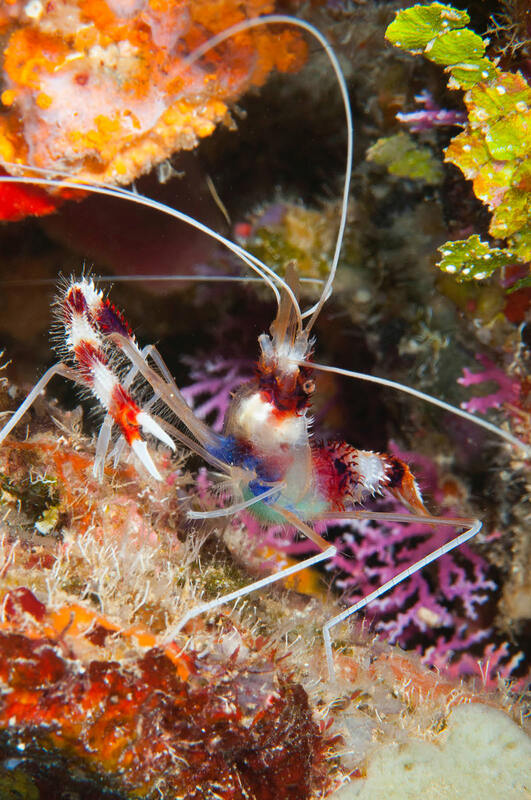 Lionfish are known for their striking appearance, their delicious taste, and, unfortunately, for their attempts to destruct the barrier reef. 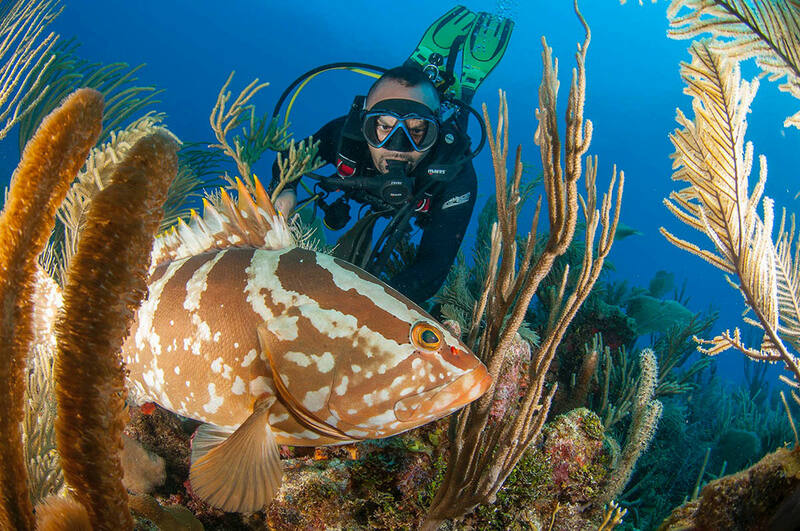 You may opt to participate in an underwater experience that allows you to help protect an ecosystem and to dine on your own catch that evening. 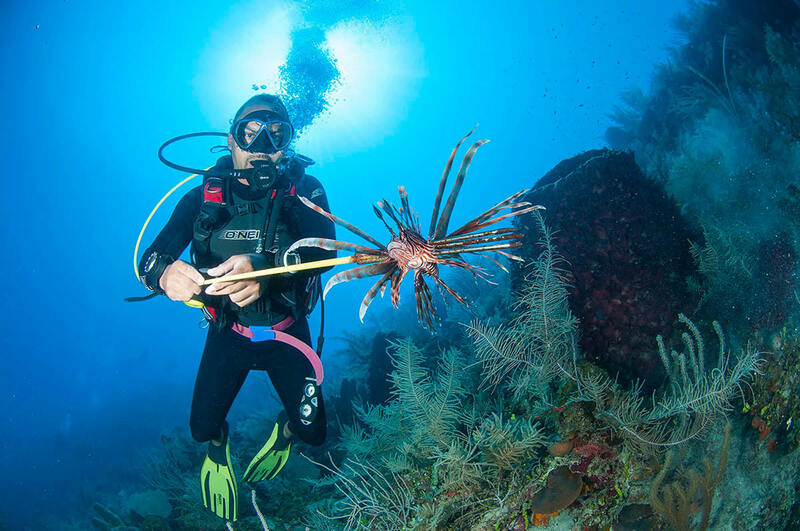 The dive includes the use of a trident and all necessary gear.